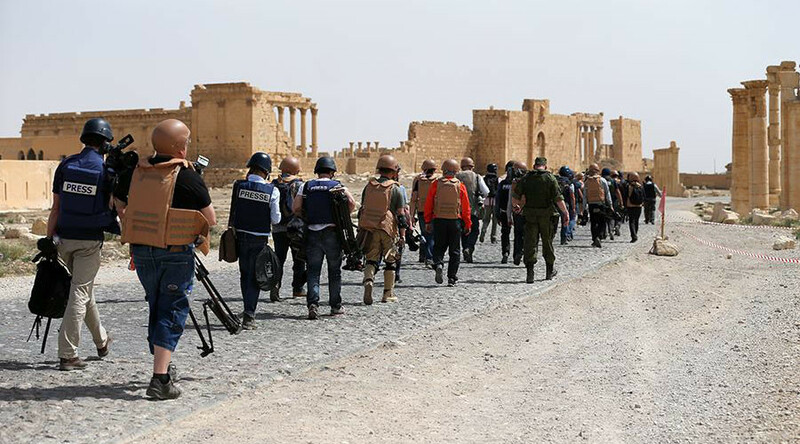 The Russian military have given access to journalists from 11 countries to the liberated Syrian city of Palmyra. Moscow noted the absence of American journalists in the group. 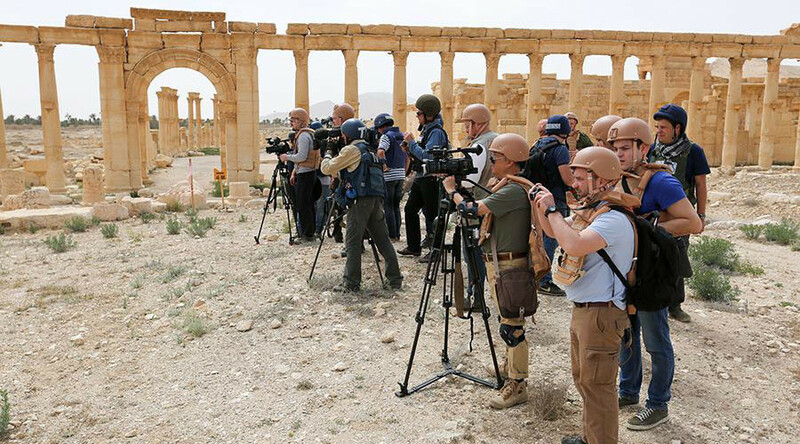 The group of 27 media professionals from Germany, Italy, Belgium, China, Serbia and other nations were transported from the Russian military base in Khmeimim to Palmyra on Thursday. They were carried halfway across the country by Mil Mi-8 AMTSh military transport helicopters guarded by Mil Mi-35 helicopter gunships. 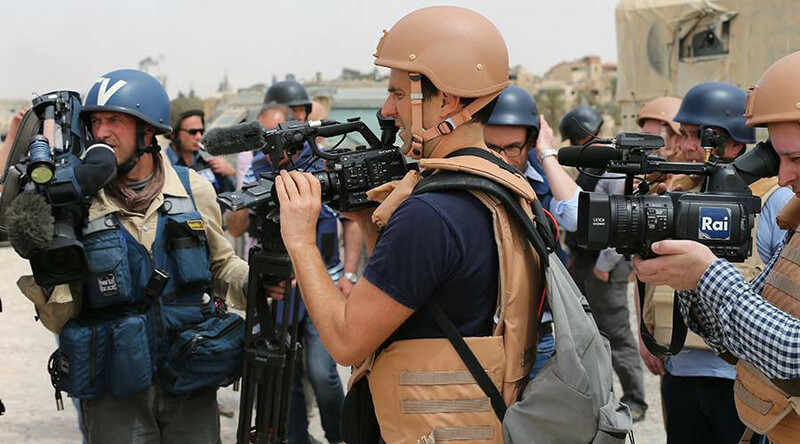 The journalists were taken to the historic part of the city, which was badly damaged by the Islamic State while they controlled the city. They also had a chance to speak to local residents and Russian military engineers, who are taking part in demining the city. 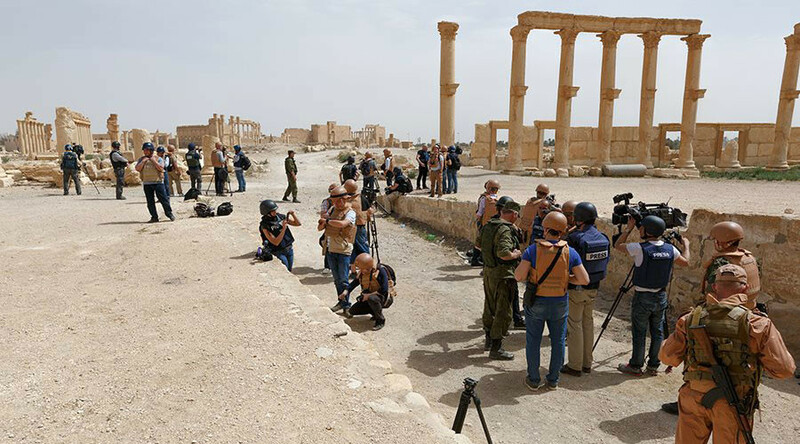 Palmyra, which fell into IS hands in May 2015, was liberated by the Syrian army and pro-Damascus militias, who were given air support by Russian warplanes. The military success was met with muted response by officials in the US and some of its allies, who, Moscow said, tried to downplay its importance. 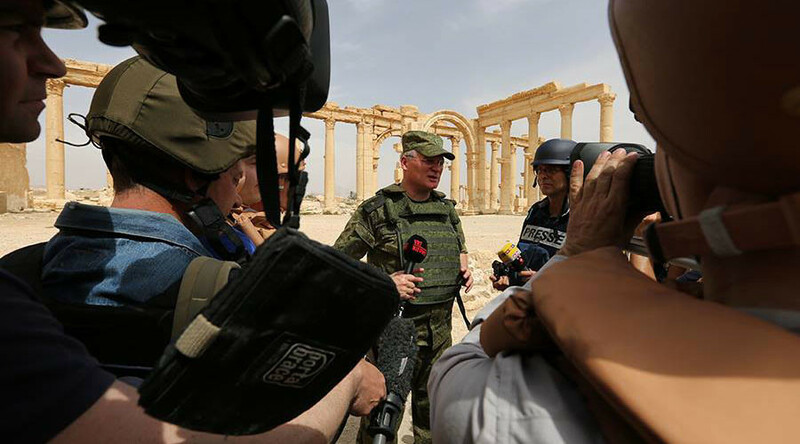 RT’s crew as well as some other Russian media had a chance to visit Palmyra earlier than the majority of media outlets, while the city was considered too dangerous for a major press tour by the military.